I love making shell crafts! It’s been a few months since I’ve had a shell project to get my hands on … so the last two days I’ve spent being very excited to be actually making a shell frame as a gift to a special couple. If you don’t already know what my long time fave shell is… it’s the WORM SHELL! And I loooove making things with WORM SHELLS because no two are alike and they are just so stinkin’ whimsical they make me laugh. The thing is… I don’t find them often any more so when we find even one on the beach, it’s such a happy day. The ones that have a funny sideways twist? Even better! After soaking them in a bucket of 1/4 bleach to water over night, I rinse them off with fresh water then lay them out to dry. Okay, I’m gonna tell the truth… some times I’ve left them in longer than overnight… errrr….. some times I forget I have them soaking in the bucket but remember after a week…okay, okay!… maybe 2 weeks later or longer. But by being so, ummm, “scatter brained”, I now realize it doesn’t hurt the WORM SHELLS. If they are greenish or grungy white, it just makes them sparkly white. If they are the tan/brown color ones, they stay that pretty color but just brighten up. They aren’t needy… just another reason they are my favorite shells! So I took some of my cleaned, sorted WORMIES and started hot glueing them to a painted white frame I scuffed up with sandpaper. My project was under way! To me it’s like doing a shell puzzle or shell mosaic. You have to keep trying different shells that will fit in the right place to fill the blank space. 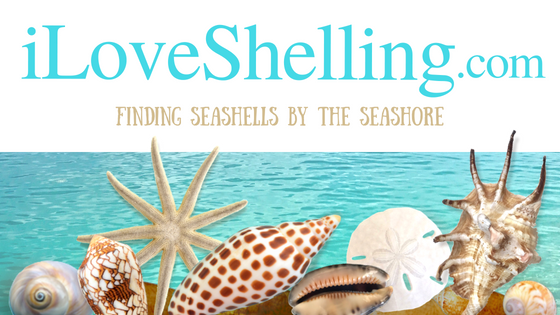 And I get to go shelling all over again…searching, searching for the perfect treasure. I hot glue one at a time, hold it until it sets up, then move to the other side to make sure it dries completely before I disturb the glue. When the frame is completely filled with shells, I feel happy to have accomplished such a fun project but even more, I am heartfelt to be able to share this with the people I made it for. It was a “Welcome to Florida” gift for Cheri and “Hubby” (her nickname for him on her blog) from Virginia who just bought a home in Fort Myers! Cheri is the blogger behind the Shelllady so after meeting them years ago on the beach, I knew they have always dreamed of having a home near Sanibel. Their dream has come true! We all know Super Sheller Clark is good at finding shells, he’s also good at finding homes too. Since he helped them buy their new place (which within 4 hours already has a seashell theme), last night we shellebrated with them for now being new Florida residents. We went to our favorite Sanibel restaurant… Traders! Most birthdays and get-togethers we celebrate at Traders, but this was a biggie. Of course it was a delicious meal but it was very special to be able to share in the day of such a big part of their lives. Thank you so much Cheri and Jimmy for letting Clark and me be part of this amazing decision! Congratshellations! My computer just prompted me that there was a recent post on my favorite site. ILS It was especially funny to me because at the same moment I was checking out a Shell Craft link a friend sent over. Just returned from Sanibel late last night with a gazzillion Scallop shells… Maybe that’s why I only brought home one Wormie? Thanks for showing us how to do your famous Shell Frame. Now to get back down and collect more…. Any fun craft with baby’s ears??? I have around 200 shells. Lot’s of fun finding them on the east coast of Florida!! How often do you find angel wings? I’ve never found one. How neat! I’ll remember the hot glue. I need to do some shell projects or buy more jars! heehee! I have not stopped by in awhile and then I saw your post fly by in my fb scroll!! So, if they live on the ocean floor near these vents and the tectonic plates shift, closing off the vent, then the wormies die and their shells get broken off ending up on the beach…can a hurricane churn the wormies ashore?! For a couple years after Charley I found the most. Things that make you go hmmm!! I find worm shells to be just fascinating! Really! You have quite the collection…it would take me the rest of my life to find that many, much less enough for a “project”! But…never say never…maybe some day Rick and I will end up on Sanibel and then I/we can shell every day! Hmmmm….will have to get going on that dream right now! We’ll be sure to contact Clark when we’re ready to look at the possibilities. Love ya, Pam. Thanks, once again, for a great blog! What a sweet post Pam! It’s that time of year again, so may I say this? For people who live in or near New York City, “Identification Day” at the American Museum of Natural History is coming up — it’s on Saturday May 11th in the Theodore Roosevelt Memorial Hall, downstairs. It’s free with museum admission. It usually lasts from about 12:30 – 3:30PM. THANK YOU SO MUCH Pam!! For the wonderful Wormie Frame, and all the love and time that went into it!! And thank you for the wonderful friendship….not to mention a GREAT Dinner!! We couldn’t think of a better way to spend our first day as Florida residents!! You and Supersheller Clark are awesome and I’m proud to call you our friends! Like I said, we feel famous!! Thanks again! Awesome gift for a fantastic couple. I’ve known Cheri for awhile thru blogging and she is a “shelling Queen!” I just know that one of these days we’ll get to meet in person on Sanibel. Cheri, it was so much fun last night! It was really our pleasure that you spent your first night hanging out with us. So Thank YOU! Yes I am planning on coming to NY. I was going to take the train and then a taxi to the museum. I haven’t looked up the schedules yet – crazy week. I don’t want to tie up Pam’s site so I will e-mail you. It will be fun to see you again and meet Susan. I have a few shells that I’d love Susan to look at. Can’t wait. This is my fav post to date (and I’ve read every one) ! I find so few wormies with no lack of trying that I dream to be able to make one of these frames. What a generous person you are to make one for others! Thanks for the directions! I love that frame. I have loved worries since my first trip to Sanibel in 1989. Your frame turned out lovely and I can see Cheri was touched. Lucky girl!! My dream is to live on Sanibel one day too ( as I imagine it is the dream of most everyone who reads this blog ). I can imagine contacting Clark one day to make my dream come true. I imagine his love of the island makes him the perfect agent to find a home for you! Still dreaming….but oh, one day…..
Susan- wish I could make it , but we have other plans. Do you only have it once a year? I would like to make it next time you have it. Love the museum. Pam-love the wormie picture frame, but I don’t have many wormies. I’m glad they like the bleach. One of these days I’ll do a Sanibel shell frame. Love that wormie shell frame….beautiful folk art gifted to a nice couple. What a nice post! Started out shells, ended friendship and making dreams come true. Love the picture frame! My favorites are scallop shells. Can shells be hot glued together, or does the heat break them? I haven’t tried to make anything with shells yet, but I will after this trip. We leave for Sanibel tomorrow morning! Woo hoo! Scratch my last question. You hot glued shells onto the frame, so they obviously don’t break. LOL! I have vacation brain. ID Day is only once a year, although the date varies a bit. I just love how this site feels like family! I love the wormies too! Flat scallop so delicately thin a fav too. I always carry an auger in pocket, purse, car ….